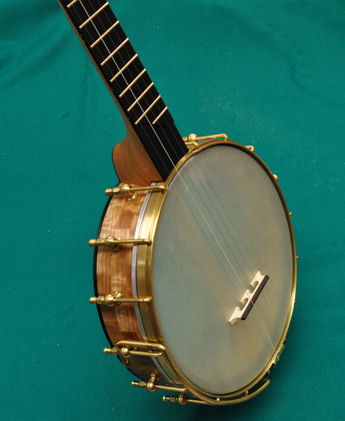 Short scale (A-scale) half fretless banjo. 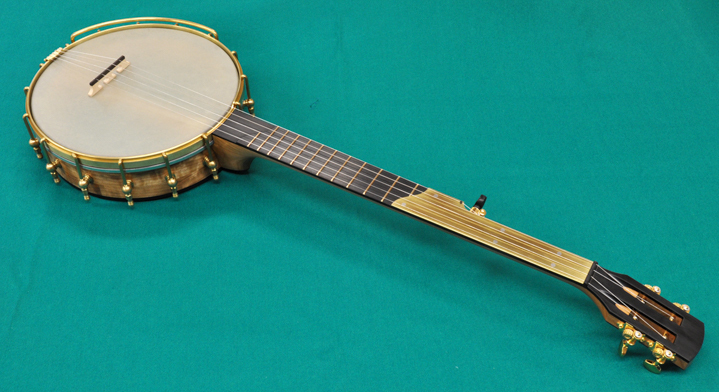 Made with cherry, ebony and brass with stainless steel position dots in the brass fingerboard overlay. 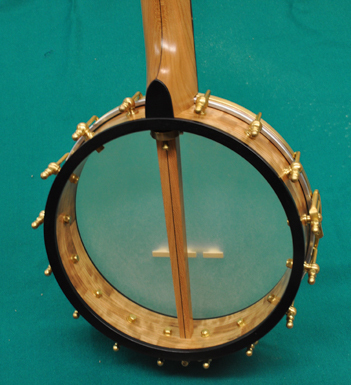 The pot is made with curly cherry and the neck is made with straight grain cherry with an ebony backstrap. 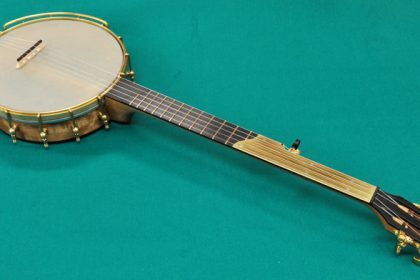 This was the first banjo to feature hidden fret ends, a standard feature on all Seeders Banjos. 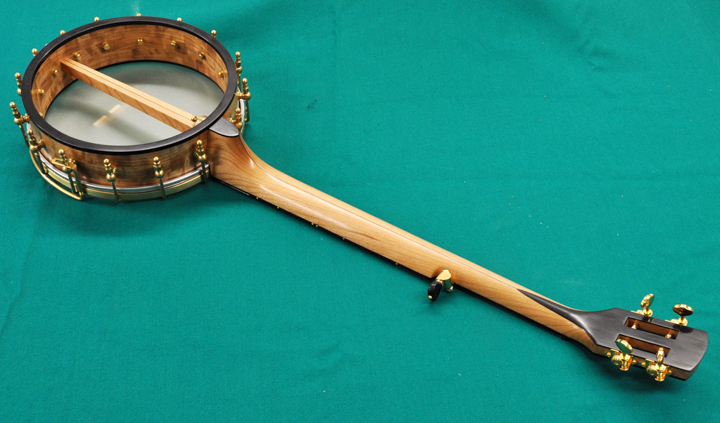 The slotted peghead was modeled after an 1866 Tilton Improvement banjo in my collection.